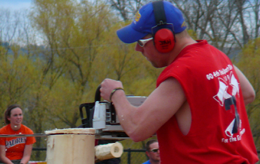 This timber sports event draws both amateurs from around the region and professional competitors from around the world to compete this one of a kind event. Even the stadium is one of a kind. This world class venue is dedicated to our dear friend and fellow competitor Garrett Grothen, who sadly lost his life in 2002. Not only can you watch the competitors compete ferociously for prize money but truly makes it unique is that the professionals compete side by side with the college level and amateur athletes. Afterward the professionals give seminars about proper technique and tricks they’ve learned through the years. 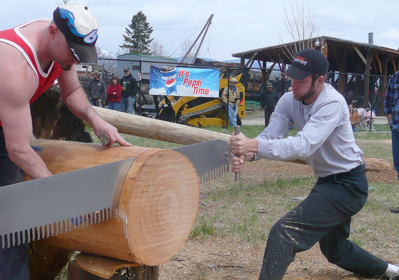 From the thud of an axe to the scream of a Hot Saw...this event shouldn’t be missed!